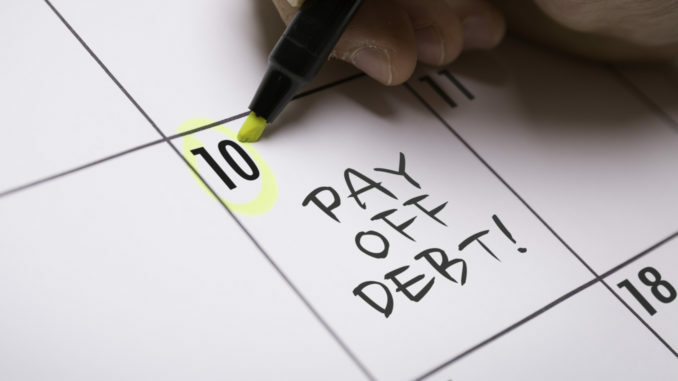 Is getting out of debt your main priority for the future financial year? No one wants to have debt hanging over them as this can cause a lot of unnecessary stress in life and will prevent you from becoming financially free. Here, we are taking you through our top tips that will help you to become debt free, so you can focus on building your own personal wealth in the future. If you are really serious about paying down your debt, then the first thing that you will want to make sure that you do is to increase your debt repayments. You should be putting a substantial amount of your pay check towards paying off any credit card debt that you have. When you are only making small minimum payments, this then means that your debt balances are collecting a lot of interest and you are paying off more interest than you are your actual debt! You could save a significant amount of money simply by increasing your debt repayments to get rid of your debt faster. If you have savings, but also have high interest debt, then now is the time to throw these savings at your debt to tackle it and bring it down. When you do this, you will be taking away a lot of the interest that will be totalling up as the debt is sitting there. 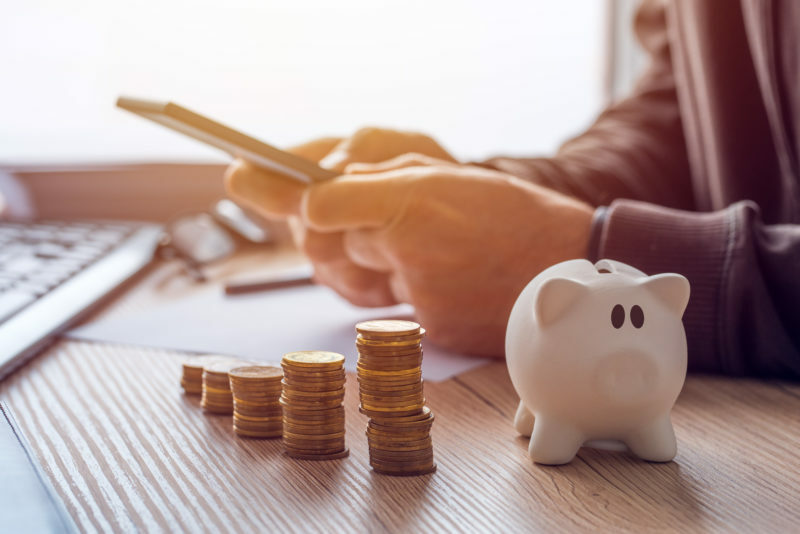 While it can feel like a comfort blanket to have your extra cash sitting waiting in the bank, if these funds aren’t working for you with the low interest rates at the moment, then it will be far more beneficial to you to use this money towards paying off debt. You don’t need to throw every penny that you have at the debt as you can keep a little bit aside for a rainy day. Did you know that you can potentially get a lower interest rate? If you have a good payment history and account standing then you may be eligible to receive a reduction in your interest rate. This can help you to save a lot of money on interest and you can then pay down this debt much faster. One of the quickest ways to pay down existing debt is simply to earn more money. You could ask for a pay rise in your work or look for a new role that is paying more money. However, we do realise that this is easier said than done. Another great option is to get a second job that is temporary and that you can fit around your current lifestyle. Staff Heroes temp jobs are fantastic as they are a great way to earn extra money and you get to the flexibility to decide what shifts you want to work. This extra cash can then be used to massively reduce the debt that you have. If you have a lot of unwanted items lying around your home, then this is the perfect opportunity to sell them for cash that you can then put towards paying down your debt. You will be surprised by how much this can lighten your debt load and it will also make you much more mindful when making future purchases as you will most likely find that the things you are selling still have the tags and were a waste of your hard-earned money. Getting rid of this clutter in your home will also have a positive impact on your mindset too and you know what they say, a tidy home equals a tidy mind. If you really want to pay down debt fast, then the biggest struggle that you will probably have is exactly what landed you in this position in the first place, and that is not being able to say no. When you are trying to pay off a lot of debt quickly, you won’t have the luxury of being able to go on every night out with your friends, going on luxury holidays abroad or buying lots of new clothes. Not only will you have to learn to say no to others, you will also have to learn to tell yourself no too as not doing this will most likely be your biggest downfall in trying to pay off your debt fast. Another top tip that you will need to follow if you want to pay off your debt fast is to make a budget for your income. We’ve all been there where our wages are gone all too quickly and yet we have nothing really to show for it and this is a habit that you will need to break to get on top of your finances. Make a detailed budget so you know exactly where it is that your money is going.